It was a dramatically stressful situation for Buddy the Pit Bull and the little boy he saved. For days the brave dog’s life hung in the balance and there was nothing his family could do but wait. When Buddy ‘attacked’ an Australian woman, he was apprehended by police, but it turns out that there was much more to the story than that. 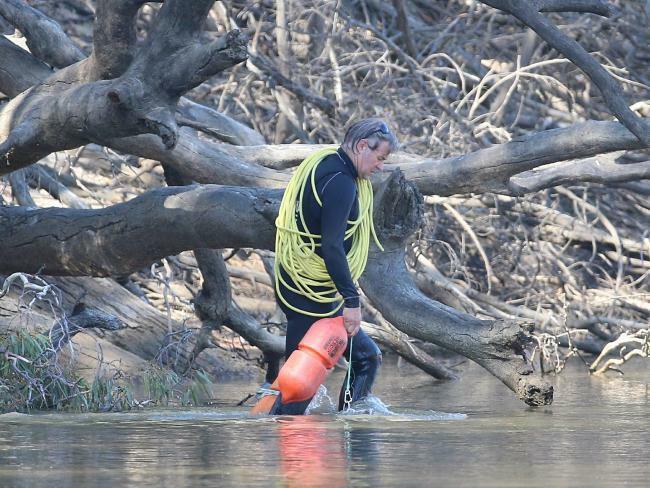 The woman, a crystal meth addict, allegedly brought her two young sons, aged 5 and 9, to the Murray River last week with the intent of drowning them. Local news reports that the oldest boy was ordered into the water, but he escaped to the other side of the river, where he was ‘bitten’ by Buddy. The dog then attacked the mother while the 9-year-old ran away. The youngest boy was found days later, drowned in the river. More than 50,000 people signed an online petition to spare Buddy’s life. His owners argued that Buddy didn’t bite the 9-year-old, but tried to help him get out of the river. After a thorough investigation, police have determined that Buddy was acting in defense of the woman’s son and that he will not be put down. Thankfully investigators were able to determine that Buddy was just trying to help the best way he could in a terrible situation. Prayers for these little boys and their families! 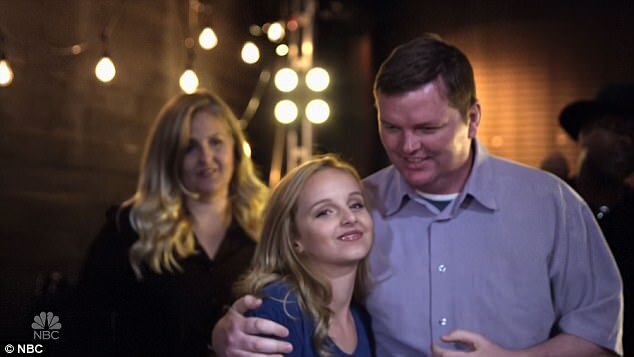 Just a week after the tragic passing of her father, 13-year-old Evie Clair got back on the America’s Got Talent stage to finish what she started. The teen singer, braved the stage with a moving performance on Tuesday night, in honor of her late father, by singing his favorite song. Evie’s father passed away on September 7 after battling Stage 4 colon cancer for roughly a year. “Families are Forever,” she captioned her Facebook post from last Thursday. As one of the top 10 performers, she was competing live at the Dolby Theater in Hollywood for the $1 million prize. Evie’s father, Amos Abplanalp commitment to his faith and work inspired his family and community to remain united even after his passing. “He’s been a big example of not giving up and spending your time wisely,” Evie said. Amos and his wife Hillary have raised their five children in The Church of Jesus Christ of Latter-day Saints, where he continued to serve as bishop even after his stage 4 colon cancer diagnosis. “Love my daddy. #cancersucks,” she wrote on Facebook. His example of perseverance has been a leading example to help Evie and her family face the tough challenges ahead. “It’s good to be back in LA after a difficult week saying goodbye to my dad. I am with the AGT finalists at Universal Studios this morning doing some live news spots for NBC and feeling okay,” she wrote. After her performance, Evie said she was glad that she decided to come back. “I was able to kind of make stronger friendships, it’s really been great,” she told E! News. While Evie didn’t win the million dollars, it’s clear that people love her. @evieclair just wanted to let you know you are still a winner to all of us, keep your head held high god bless. We wish Evie and her family all the best, and can’t wait until she releases her own music! Just when you thought nothing could no longer surprise you, something ridiculous happens and you’re shocked all over again. Last month, a fast food fan dropped thousands of dollars, $14,700 to be exact, on a McDonald’s menu items that dates back to the late 90s! Insane, right? Back in 1998, McDonald’s released a limited-edition McNugget sauce to celebrate the release of the Disney movie, Mulan. The special SzeChuan dipping sauce was almost erased from people’s memories until someone spotted it in a car. 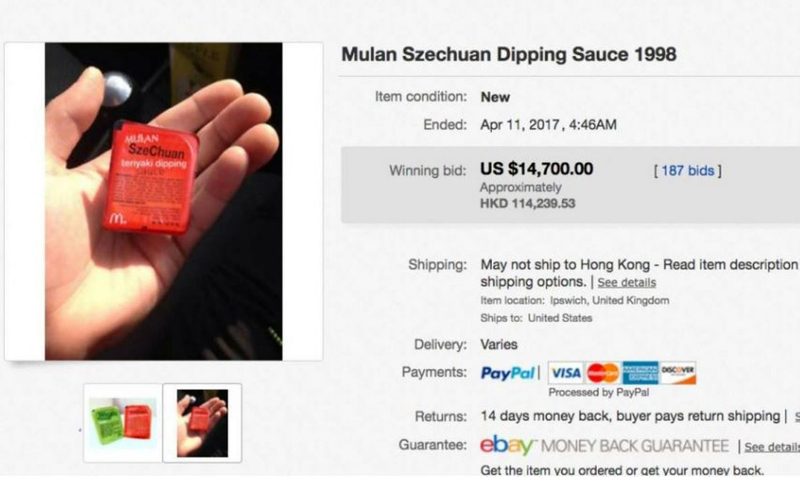 A lucky Ebay seller found two packets of the Asian-inspired dipping sauces in an old car, they immediately had it up for sale on the auction website. Bids started to trickle in within hours and by the end of the auction, the sauces garnered about 187 bids. 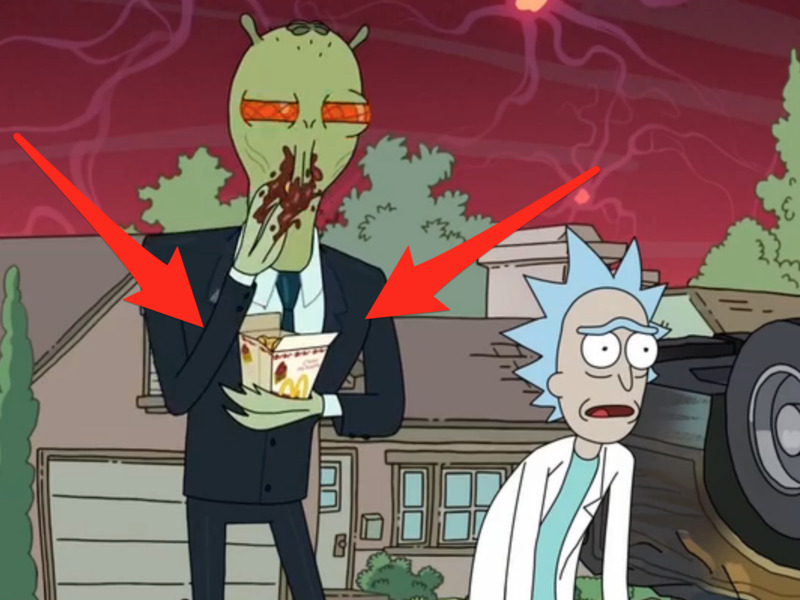 This sauce in particular gained popularity after an American animated show, Rick and Morty referenced it in a recent episode. Ever since this mention fast food lovers were determined to have the 19-year-old sauces back on the McDonald’s menu. An online petition was set up and it has gotten over 20,000 signatures so far. Prior to that, another McNuggets sauce was listed on Ebay with bids as high as $102,000. Kids often do some pretty ridiculous things. Recently, the “salt and ice challenge” made a come back and now another dangerous “challenge” has returned to the school yard. Kids are now purposefully burning themselves with erasers in what they are calling the “Eraser Challenge”. It is apparently the latest internet trend that has kids risking infections and getting scars for no real reason. According to some middle schools “kids are rubbing an eraser across their skin while having to do or say something.” For example, they have to sing the whole alphabet while their friend rubs the eraser on them and then they compare marks. Kids are managing to burn themselves with this game, with one teen even getting hospitalized for participating. This isn’t necessarily a new trend, but it is making quite the resurgence. In a warning from the school it says that kids are admitted that they are doing it because they were dared or to prove they were tough. Some have done it because they thought it was funny, but the results can be pretty serious. The warning from the middle school says that because erasers are so dirty they can lead to infections in the skin. Even after the scabs form, bacteria can still get through. If you notice your child has strange marks on their arms and hands, talks to them and make sure the wounds are cleaned out properly. If you’ve had any doubts that a dog was a man’s best friend, you haven’t met Ranger the corgi and his owner Brooke Ellington from Midland, Texas. For her entire life, Ellington has had a special place in her heart for corgis, who’ve always returned her affection, and Ranger was no exception – especially when Ellington was about to give birth. You’ll Love the Brownie Bomb for Your Next Party – It’s the Ultimate Chocolate Dessert! Do you love peanut butter? Cookie dough? Brownies? Yes? Well you’re in luck, because this dessert has it all! Peanut Butter Brownie Bars are the sweet treat that lets you have it all. No more eating plain old brownies, cookies, or peanut butter – those days are over! This recipe has literally combined everything delicious into one irresistible bar so every bite is more amazing than the last. Author danlibpatPosted on July 12, 2018 August 21, 2018 Categories Dessert, h8Leave a comment on You’ll Love the Brownie Bomb for Your Next Party – It’s the Ultimate Chocolate Dessert! America’s Got Talent fans have crowned the winner of season 12, but there were some mixed emotions when some fan-favorites were eliminated. There was a plethora of talent to choose from on the stage with year, with singers, dancers, a comedian, and a dog act for America to choose from. With 52-million votes cast ahead of Wednesday’s results show, it proved the top ten finalists had some competition for the crown. Kechi Okwuchi, Evie Clair, Angelica Hale, Chase Goehring, Mandy Harvey, Preacher Lawson, Darci Lynne Farmer, Diavolo, Light Balance and Sarah & Hero performed for your votes for the final time at the Dolby Theater in Los Angeles, and they each made it a difficult choice to crown a winner. However, only 12-year old Darci Lynne, 9-year-old Angelica and the dance troupe Light Balance made the top 3. For many this came as a shock, thinking that Kechi, Mandy and Evie would have been likely shoo-ins for top 3, potentially winning it all. Evie Clair shockingly returned to AGT following the tragic death of her father, just a week previous. “My dad always told me after I started something, to always finish it. That’s why I’m fighting until the end, just like he did,” Evie said. She sang “What a Wonderful World” as a tribute to her late father, since it was his favorite song. Mandy is a Deaf singer that previously in the night performed a duet with Shania Twain. After losing her hearing when she was 18-years-old, she told her story of her intense soul-searching to reunite herself with her passion. She brought the audience to tears in her audition which caused Simon Cowell to hit the Golden Buzzer. Kechi, also a young singer, has a story that most people can’t even dream of enduring. When she was just 16-years-old she was on board a flight that crashed over Nigeria, claiming the lives of 107 passengers. She was just 1 of 2 survivors of the crash. She continued to stun audiences during her performances, which left many people wondering how she didn’t make it into the top 3. So what did the winner deliver that put them over these fan favorites? Imagine being a 12-year-old performer standing in the national spotlight and being told you just won $1 million dollars and are heading to headline a show at the Mirage hotel and casino in Las Vegas. Crying isn’t a shocking reaction at all. Standing next to her friend, and runner up, Angelica Hale, all the feelings she had bottled up all just came flooding out. It wasn’t until her family ran onstage to celebrate with her, that she noticed her younger brother had tears in his eyes too. Runner up Angelica Hale also shared in the tears of joy in an Instagram post. “Tears of joy!! Congratulations @itsdarcilynne I ❤️U! #AGT@agt#AGTFinale,” she wrote. The young ventriloquist stole the hearts of Americans and the judges with her hilarious and singing puppets. She impressed judge Mel B, who used her coveted Golden Buzzer to send her from auditions straight to the live shows. “I was very, very shy but America’s Got Talent has given me a voice and more confidence than I could ever have,” Farmer said in her video package before she made the top five on Wednesday. Once she had pulled herself together, she was ready to share her exciting dreams about what she will do with her winnings. Congrats on the big win Darci! Did any of these surprise you? Share with us in the comments. Everyone knows not to give their dog chocolate. It’s pretty much common knowledge that the sweet stuff will make your dog dangerously ill. But there is a myriad of other foods that need to stay far away from your dog, and many of them people probably don’t know about. While it’s never really a great idea to feed your dog “people” food, there are certain items that can be okay. 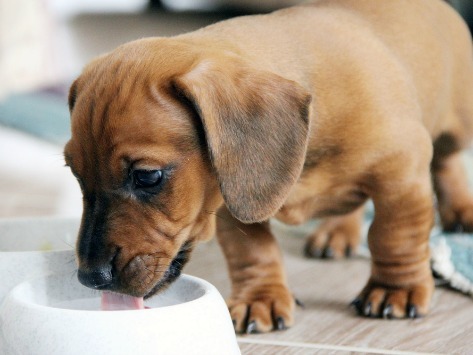 Chicken, beef, salmon and peanut butter are all canine favorites that are safe for them to eat. Scroll through this list and see which foods can be quite dangerous if you feed them to your dog. This seems super obvious, but even the tiniest amount of alcohol can send your dog into a coma, or even kill them. 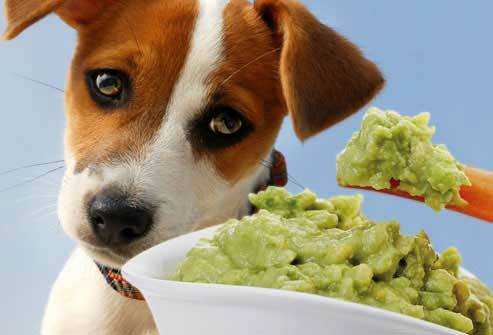 Avocados contain persin, which is toxic to dogs. It can cause stomach problems, vomiting, and diarrhea. Caffeine can cause vomiting and diarrhea in dogs. More seriously, it is toxic to the heart and nervous system. 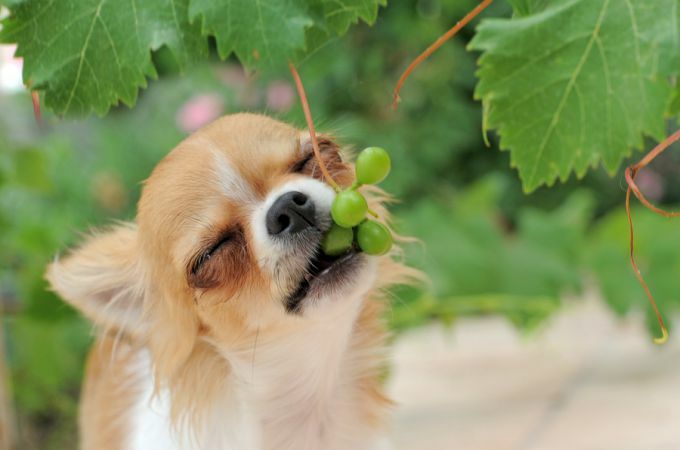 It’s not really known WHAT about grapes and raisins makes dogs sick, but there is documented evidence proving they can cause acute kidney failure. 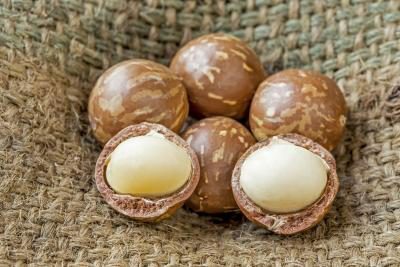 Macadamia nuts can cause rear-leg weakness, low-grade fever, and muscle damage. 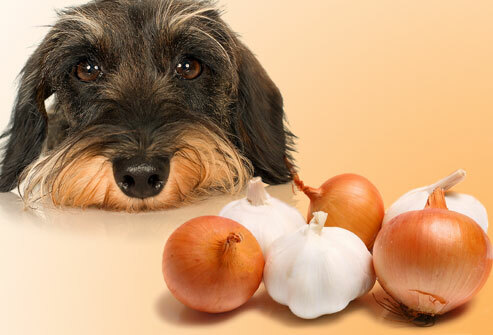 Both onions and garlic can give your dog blood cell damage and cause anemia. Dogs are basically lactose intolerant. Too much dairy can mean severe diarrhea. 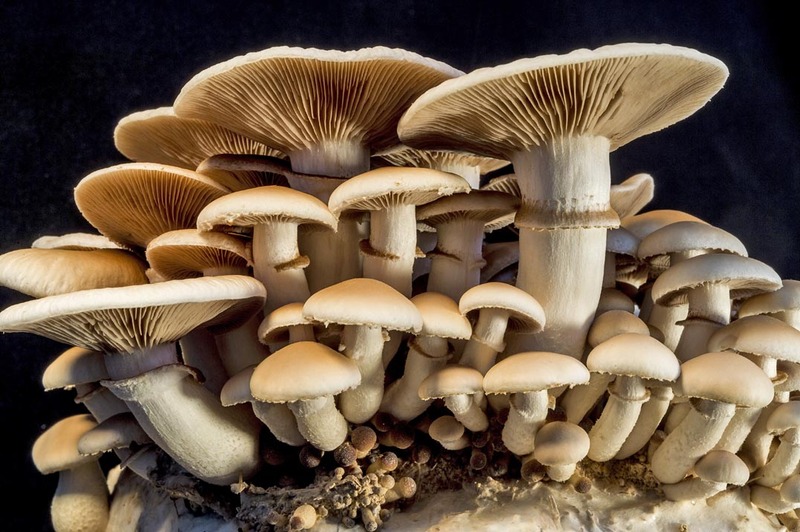 Many types of mushrooms are toxic to your dog, and can even cause death. The danger is heightened because of how often dogs are outdoors, so it’s always recommended to keep an eye on what your dog is eating. 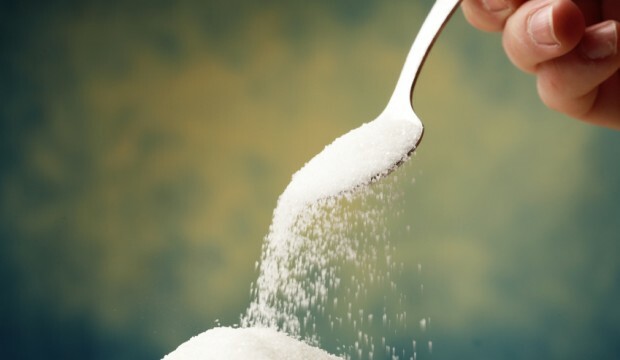 Xylitol is found in a lot of chewing gums, sugar-free Jell-O, Tic Tacs and even some brands of peanut butter. The ingredient can cause liver failure and death in dogs. Make sure you are checking any new brands of peanut butter for xylitol. 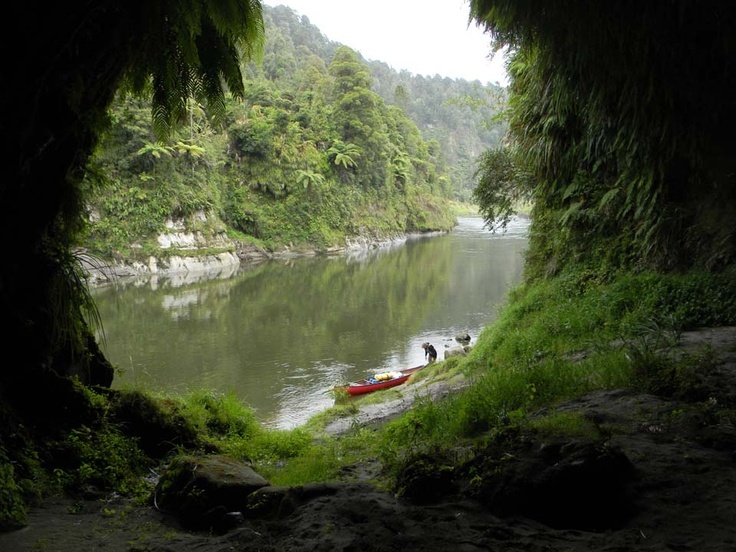 As New Zealand’s third-largest river at 180 miles long, Whanganui River is located in the North Island. It has been long regarded as sacred by the the native Maori population and will now be granted human rights. For example, in court proceedings, the river will be appointed legal representation both from the Maori tribe and the Crown. The Maori have been trying for over 160 years to get the river recognized, mainly due to unnecessary exploitation. Now, if the river is damaged, the transgressor will be punished as if they were harming one of the Maori peoples. As for the damages already done to the river? The Crown has promised to pay NZ$80 million, as well as NZ$1 million to dedicate towards establishing the personhood of the river. What do you think? Is granting the NZ river legal status is justified in this case? Rock Your Cinco De Mayo Festivities with This Fresh Tres Leches Cake! Author danlibpatPosted on July 12, 2018 August 21, 2018 Categories Dessert, h8Leave a comment on Rock Your Cinco De Mayo Festivities with This Fresh Tres Leches Cake! 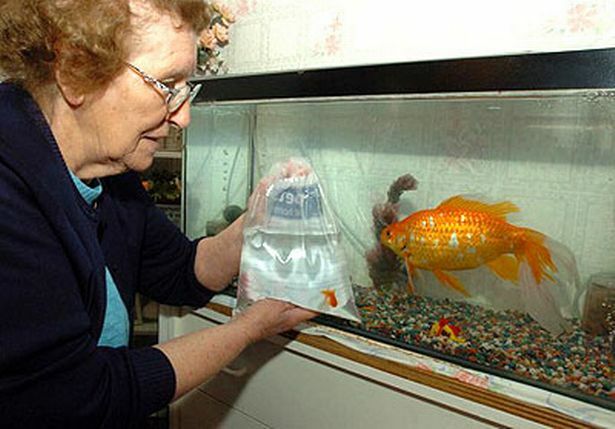 Whether they want to or not, every parent winds up looking after their child’s goldfish. It doesn’t matter if they won it at a fair or they begged until you picked one up at the store, after a couple of days your child’s excitement wears off and it’s up to you to keep Goldie alive. How hard can it be? The fish swims around in its bowl, you feed it some flakes, maybe change the water once a week and that should be everything. Fish don’t need to go for walks, they can’t rip up your furniture, they’re pretty easy to look after – or so you thought. It turns out you’ve already made the worst mistake possible. It’s as simple as this: goldfish don’t belong in bowls, ever! While it’s common to keep goldfish in bowls all around the world, it’s been proven that it’s not healthy to keep fish in them. 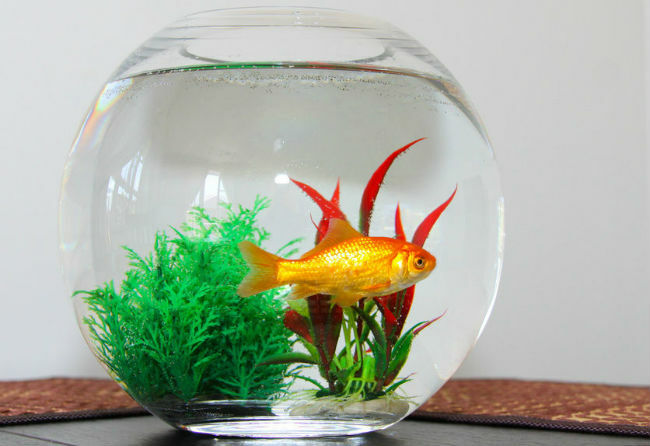 Some places, like the city of Rome, have even banned goldfish bowls for being cruel. Most people don’t think twice about dropping their pet fish into a tiny bowl, then they wonder why they die in just a few weeks. it may seem hard to believe, but a healthy goldfish should grow up to be the size of a softball or bigger. In fact, it’s very common for goldfish to live into their teens, most only die young because they don’t have enough room to grow up. If you want to take better care of your goldfish, there are lots of guides on the internet that will show you the ropes. The most important thing is to buy them a big tank full of water. 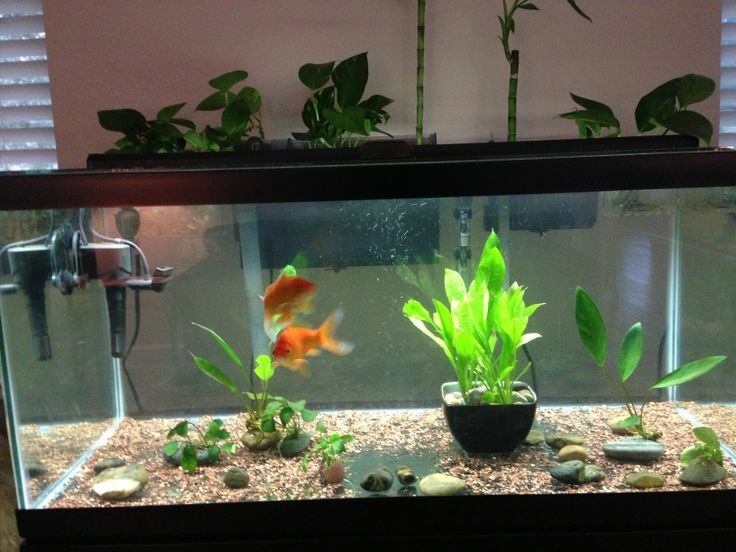 Regular goldfish actually need around 40 gallons, while smaller “fancy” breeds need around 20. After that, you’ll want to invest in equipment like filters, bubble stones to entertain your fish (that’s right, they get bored), lights, food, live plants, water purifiers, testing strips, and more. Now you can probably see why your county fair goldfish never made it to their first birthday! Share this post so everyone learns to keep their fish out of bowls! “If you don’t have nothing nice to say, don’t say anything at all.” That’s what most of us were taught while growing up, right? Well, it seems like for most people that saying went in one ear and out the other. There have been multiple instances of people on the internet sharing their opinions about someone else’s choices, and they usually don’t have nothing nice to say. Celebrity moms are often the target of online mommy-shamers because they tend to give their large amount of followers a glimpse into their private lives. Actress and World of Dance Judge Jenna Dewan Tatum is this week’s victim. The mom posted a photo to her Instagram page and a lot of other parents were not happy about it because showing her body in this manner could negatively impact her 4-year-old daughter, Everly. Captioned “Cheeky balcony series,” Jenna is standing on a balcony and wearing a provocative lace bodysuit with her backside showing. The shamers pointed out that the Step Up actress is too smart to be objectifying herself by sharing photos like this. Also, they said that it sets a bad example for her daughter. “Of course she is hot but poor Everly. What signals is she sending to her young daughter? Mummy’s bum is all over the net haha. Lead by example,” one user commented. A lot of other fans came to Jenna’s defense, but the star herself stood up to the bullies and shared another Instagram post addressing the shamers. “To all the strong women out there. May we be them, may we know them, may we raise them♥️ Rise above judgment and step into love,” she captioned the uplifting post. This isn’t the first time Jenna has been a subject of online shaming. Just a few days ago, rumors that she was pregnant began circulating after she attended the Kingsman: The Golden Circle film premiere with her husband, Channing Tatum. After word about her rumored pregnany reached her ears, she shut it down by jokingly saying that she was indeed carrying a food baby. “Thank you so much for all of your care and well wishes for my food baby and for the fact that I really needed to pee,” she told People. Way to stand up to the bullies, Jenna! Four batches of the life-saving drug that helps stop allergic reactions in their tracks have been recalled after they realized there was a defective part that affects how the medicine is administered. 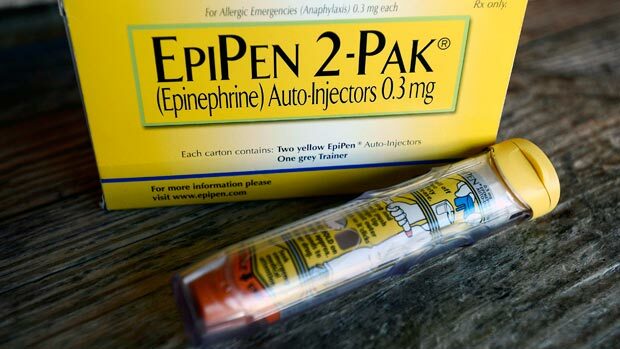 Roughly 80,000 EpiPen 300 microgram adrenaline injection auto-injectors have been recalled worldwide by the company who makes them after they realized the problem. Currently there are two confirmed reports of the auto-injectors failing to activate. You can find your batch number and date on the box of the EpiPen or on the actual bottle itself. They say that the EpiPen Jr 150 microgram and all other batches of the EpiPen 300 micrograms are unaffected. If you have one of the affected batches, they can be replaced at no charge. They advise that until you can have them replaced that you CAN use them, they will just require more force to activate. Share with everyone you know who has an EpiPen to keep them safe! 6 Clever Food Scrap Hacks You Need To Start Using Now! With the price of fresh fruit and veggies on the rise, we can’t afford to be wasteful with our food! Instead of tossing kitchen scraps in the trash or the compost, there are better ways to get full use out of your fruit! Before you toss your fruit and vegetable scraps, try some of these genius ways to get the most bang for your buck. It doesn’t take much extra time to transform scraps and they are delicious and practical alternatives to the dump. Even if they’re not the most edible parts of the veggie, the peels and tops still pack a lot of flavor and nutrients, so don’t let all that good stuff go to waste! Chop up the ends and the skins to freeze. Once you have enough, you can boil them down with spices into a delicious broth. Corn cobs ad a rich flavor to any stock and tomato ends punch up a sauce with extra tartness and juice. Got oranges? Check out what to do with ’em on the next page! 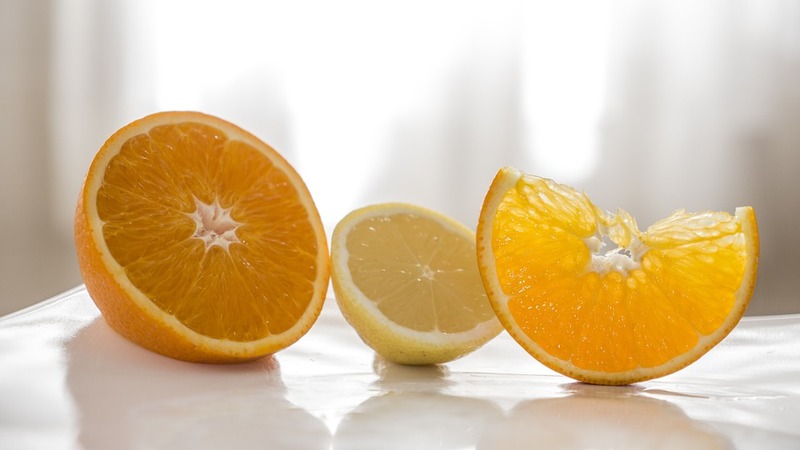 There’s nothing like cutting into a juicy orange, grapefruit or tangerine. That fresh burst of citrus smell fills your nostrils and kitchen with the delicious aroma of summer. Seriously, cut up a tray of mixed citrus and you’re transported to a tropical island. 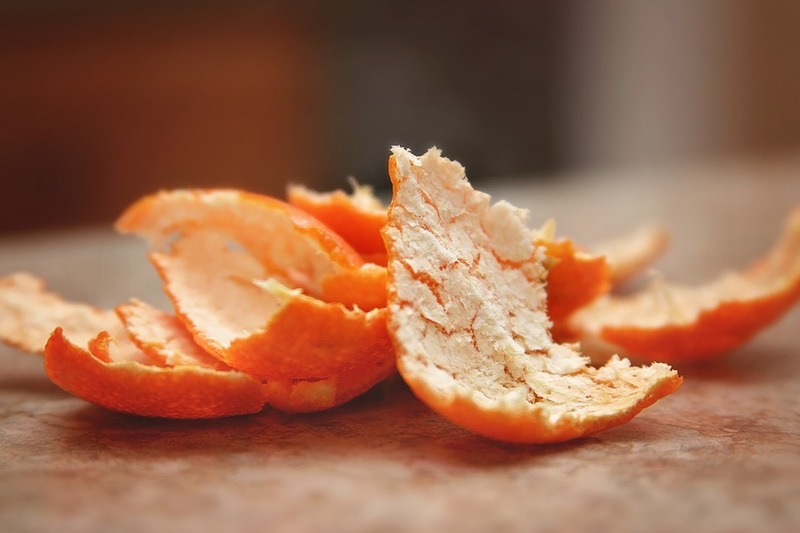 Instead of throwing out that scented goodness, grind up some peels into the garbage disposal to mask unpleasant odors. Got dirty aluminum pots and pans? 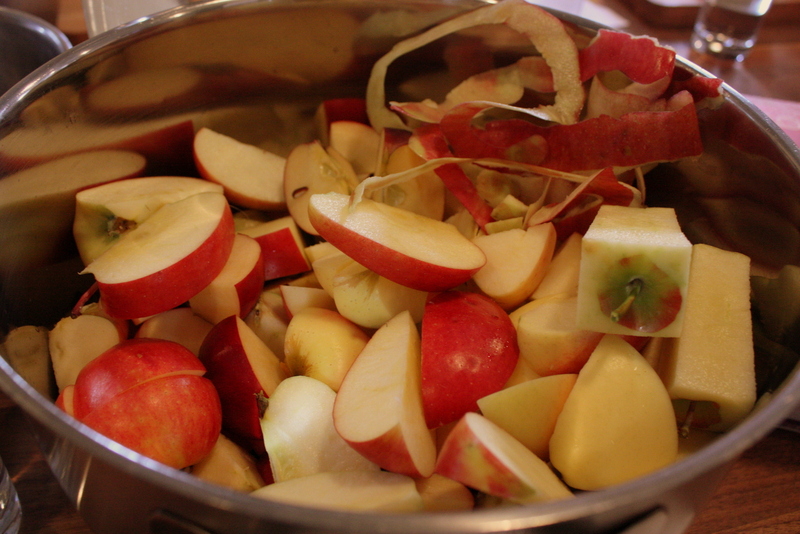 Easily remove stains by tossing some apple peels into simmering water in a dirty pot and let it boil on the stove for 20-30 minutes. Let cool, then wipe the stains away! Got itchy skin? The scraps of this vegetable can help with that! Do you peel your cucumbers? Don’t toss ’em out – toss them in the bath! 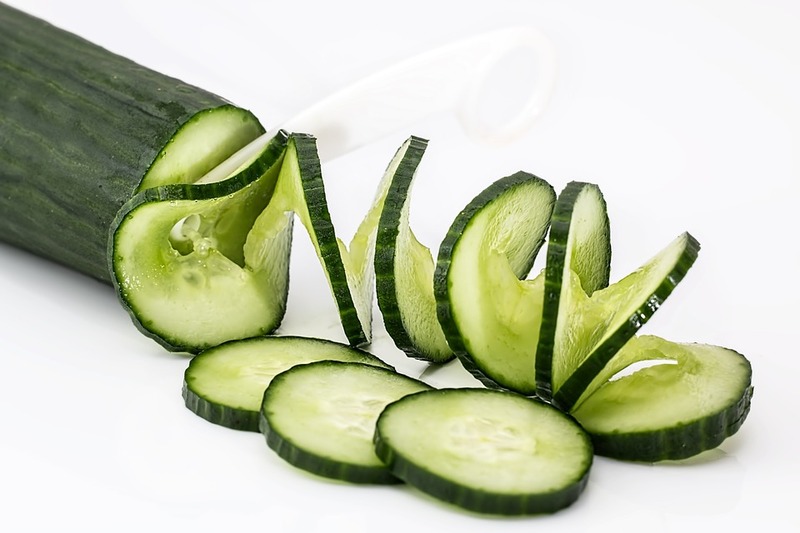 Cucumber skins in the bathwater can help to soothe dry, itchy skin. Combine them with Aloe Vera for an extra soothing soak! If you’ve got a half-dry lemon wedge, use it to clean and shine your stove top! Either squeeze the juice mixed with warm water onto a cloth, or just run the fruit directly over the stove top to clean. Shine your shoes with the fruit on the next page! 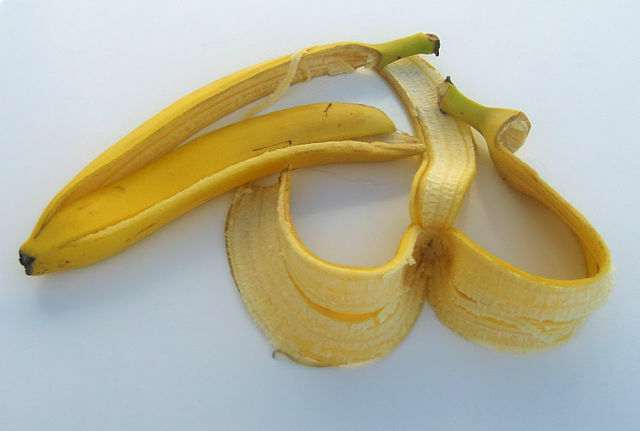 Get an easy shoe shine with banana peels! Just rub the inside of a peel over your shoes than buff away the residue with a soft, clean cloth. Easy as that! It works well on anything made of leather, so bring out those purses, sandals and even belts! Can you think of any others? Share them in the comments below! 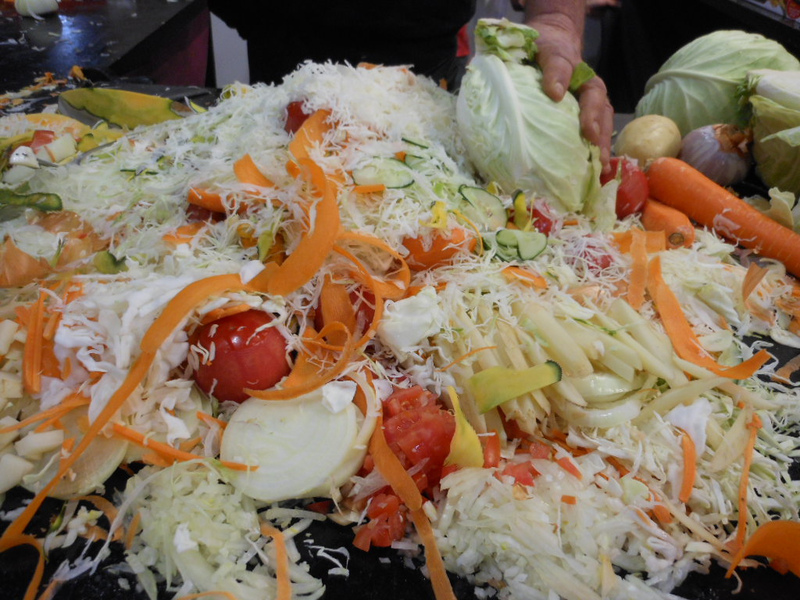 Author danlibpatPosted on July 12, 2018 August 21, 2018 Categories Cooking, h8Leave a comment on 6 Clever Food Scrap Hacks You Need To Start Using Now! Prior to taking on the role of the First Lady of the United States, Melania Trump made it known that she will be doing her utmost to raise awareness about bullying and its negative effects on children, especially on the internet. Staying true to her promise, Melania gave her first major speech as first lady on Wednesday at the U.S Mission to the United Nations luncheon. She called on spouses of the world’s biggest leaders to join heads and combat bullying. However, despite having an important message to deliver, the point seemed to have gone over the heads of people on the internet. 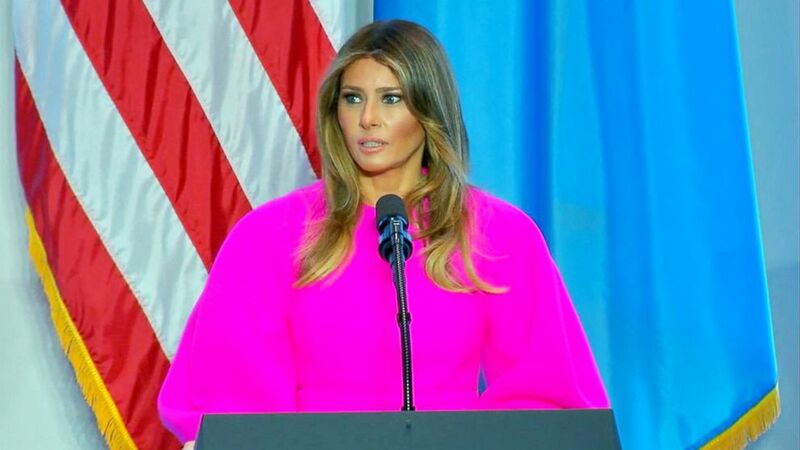 As soon as the speech surfaced online, social media users ironically began to mock her outfit and for speaking up about bullying when her husband, President Donald Trump, has been accused of being one. Shortly after wrapping up her speech, Melania became the target of online bullies on social media. Even with all the negative reactions, Melania has no plans to stop fighting for the important cause. Melania threatened to sue them if they didn’t take it down right away. Unfazed by the hoopla, earlier today, the first lady sent out a tweet expressing her gratitude to all those who supported her efforts at the U.N. event. What do you think of Melania’s speech? Let us know in the comments! On most flights, the closest thing to a performance you’ll see from your flight attendant is the safety presentation. His performance, which was filmed by another flight attendant and shared with his permission, features all the best moves from the pop star’s iconic video, along with a few of Nasir’s own. While some people have joked that Nasir should be focused on cleaning the plane, most people are impressed by his dance moves. The video has already racked up more than 9 million hits on Facebook, and even caught the attention of Nasir’s boss. Most of us wouldn’t want to be seen dancing on the job, but the airline’s CEO Tony Fernandes had a sense of humor about it. “The talent in Airasia never fails to amaze me. @assrafnasir is the best. Love it that staff can just have fun and be themselves,” he wrote on Instagram. Hopefully Nasir will share another performance soon, just not when the plane is in the air! Share this video if it made you smile!